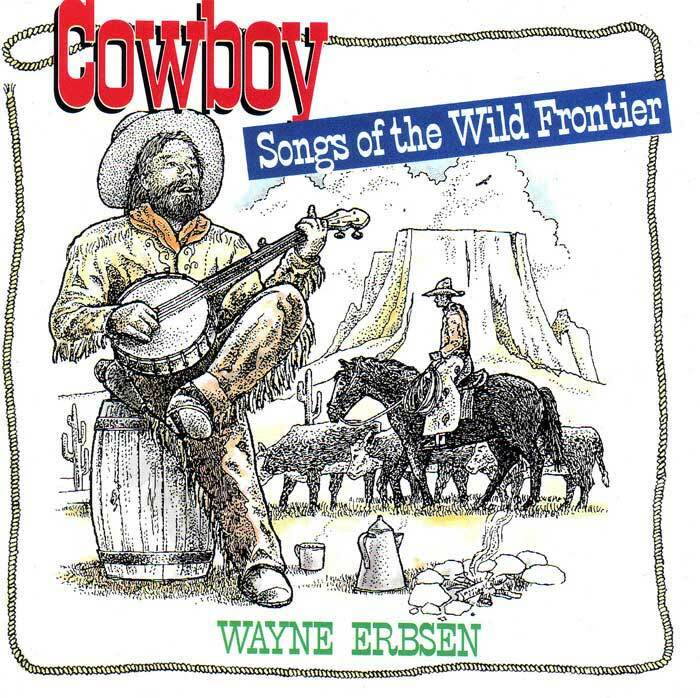 Wayne Erbsen sings this song with such conviction that you’d bet your bottom dollar that he just emerged from a saloon in Dodge City, Kansas with a banjo in one hand and a cow in the other. This song comes from his album entitled Cowboy Songs of the Wild Frontier. Beside lead and tenor vocals, it features clawhammer and six-string banjo, fiddle, guitar, mandolin, Dobro, jew’s harp, harmonica, washboard, spoons and hambone. The lyrics, song history and musical notation to this song can be found in Wayne’s book, Cowboy Songs, Jokes, Lingo & Lore. Be the first to review “Devil and the Deep Blue Sea” Click here to cancel reply.